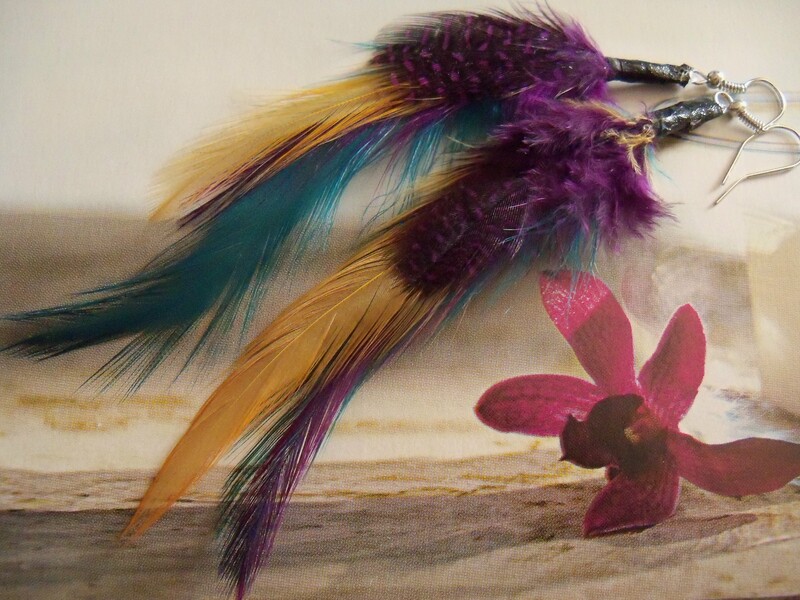 Beautiful multicolor feathers. These earrings are very lightweight. 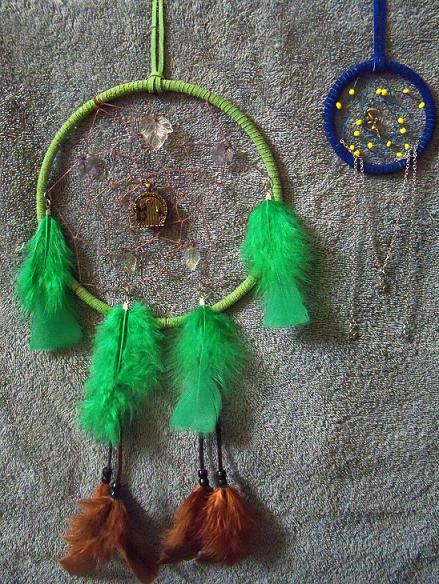 This is my newest items listed on Webstore. If you all remember, I bought Jack-O-Lantern charms a while back. I finally made a pair of earrings with them and have listed them on Webstore. 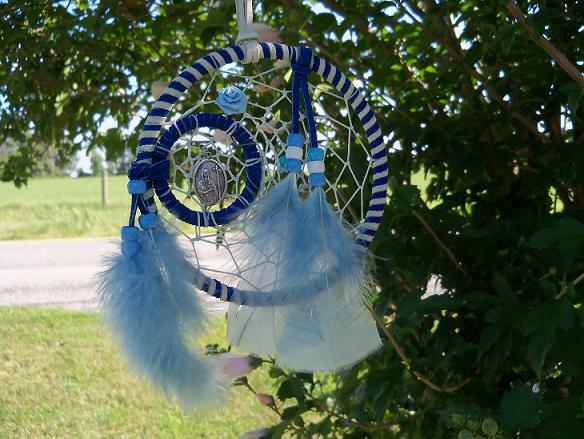 Thin metal wire was used to make the hoop and then I used glass beads. 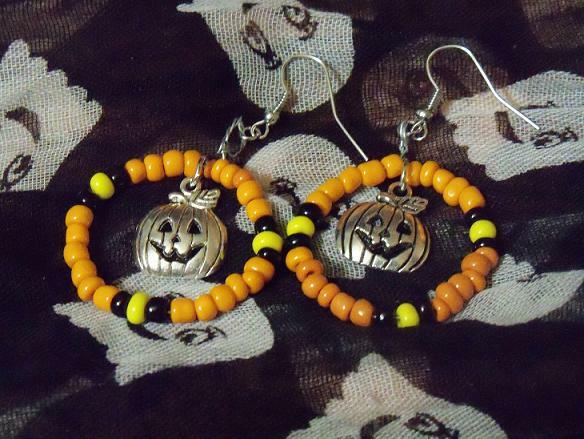 In the center of each earring is a Jack-O-Lantern charm. This is the newest cell phone charm I’ve made. 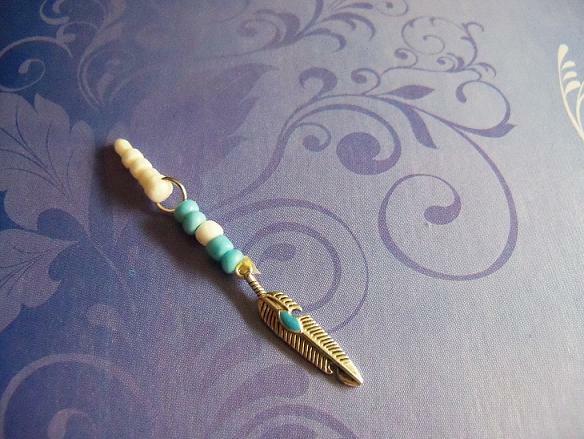 It has a silver feather charm and glass beads. I listed it on Webstore for sale. 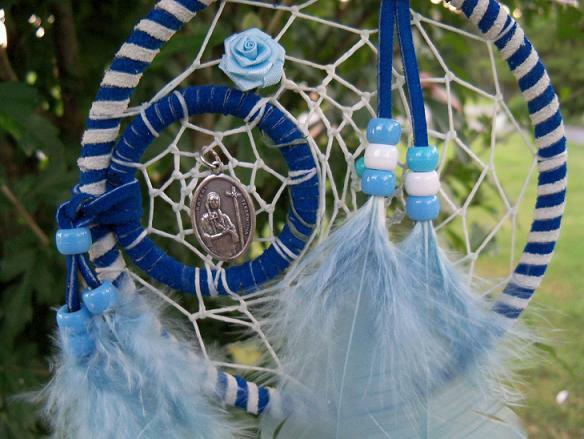 This is the first Saint Kateri Tekakwitha Dreamcatcher I made. I believe I did post pictures of it before, but I think it was quite a while ago. I also thought that I had it listed on Webstore, but it wasn’t. So I listed it the other day along with these new pictures. These are the newest earrings I’ve made. 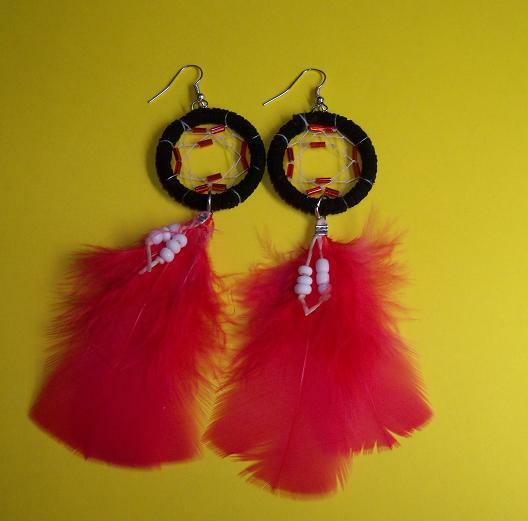 They are different from how I usually make Dreamcatcher earrings. 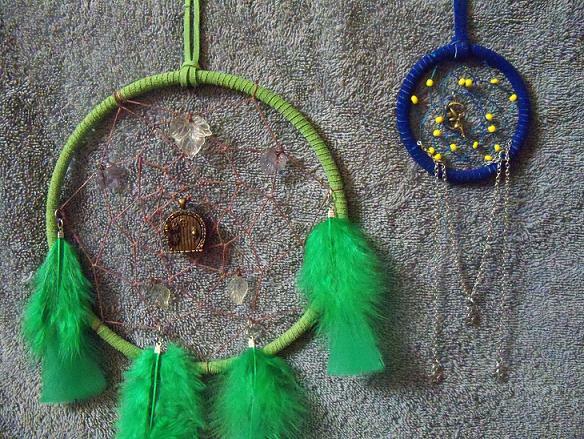 I have more beads on the webbing and how I attached the feathers is different. I think they turned out really nice. I have listed them on Webstore for sale.